The fur (pelage) is dark brown to nearly black with white-tipped hairs over the head and shoulders giving it a frosted appearance. Sources: 15, 24, 29, 30, 76. 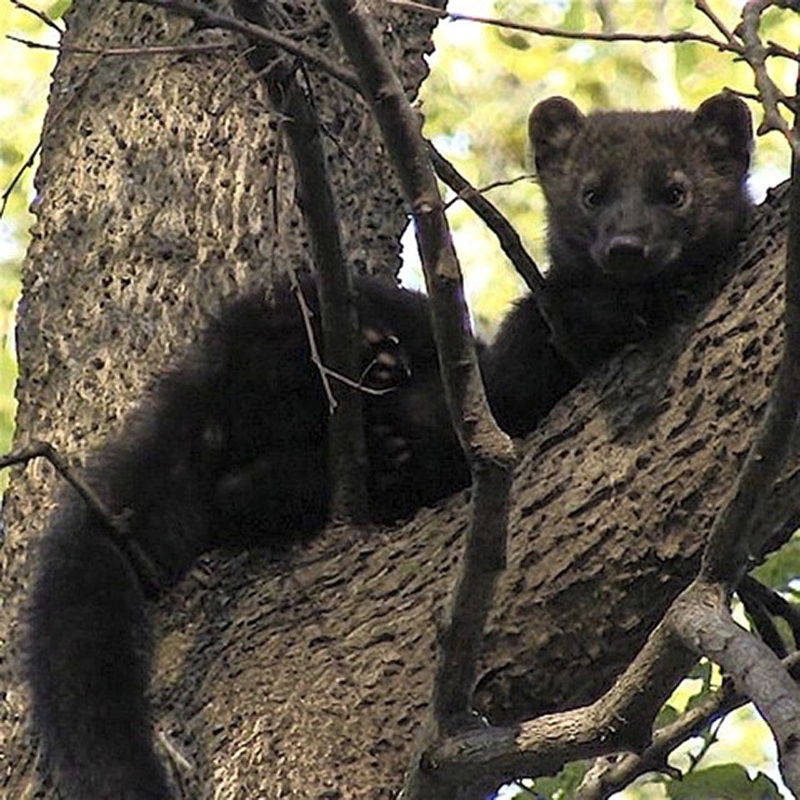 Recent DNA studies have suggested that the traditional arrangement of family Mustelidae into two subfamilies based on morphological differences is invalid. Under this arrangement, the subfamily Mustelinae is polyphyletic (derived from more than one evolutionary ancestor.) Two molecular phylogenetic analyses in Sato et al (2004) and Koepfli et al (2008) suggest separating the family into eight subfamilies. Under this scheme, martens are placed in the subfamily Martinae. 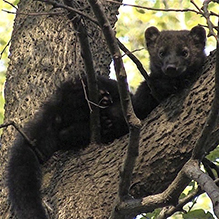 The latter study also strongly suggests that the fisher should be placed in its own genus Pekania. Neither suggestion has been widely adopted. It seemed curious about me and only got anxious when it wanted to come down out of the tree. I was below and it got a little nervous and started making these little chuckling sounds so I backed away and it came down the back of the tree peeking around keeping an eye on me and then scampered off away into the woods. I did not seem threatening at all. 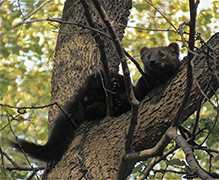 A "Fisher" in a tree. Fishers are members of the weasel family. They sometimes get a bad rap as a vicious, dangerous animal. While they can be vicious in surviving in the wild they usually are not a threat to humans. I am in their territory a lot and have followed their tracks in winter and yet have only seen them a few times. 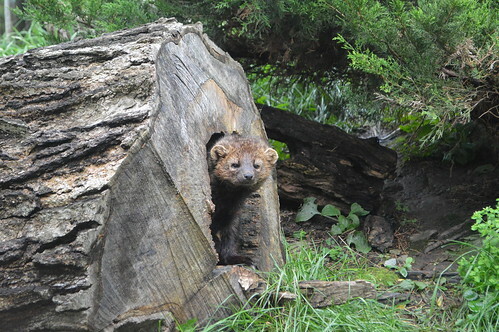 This fisher got a little anxious wanting to come down out of the tree, so I backed off and let him down. He had sat there peacefully for several minutes not minding me at all. 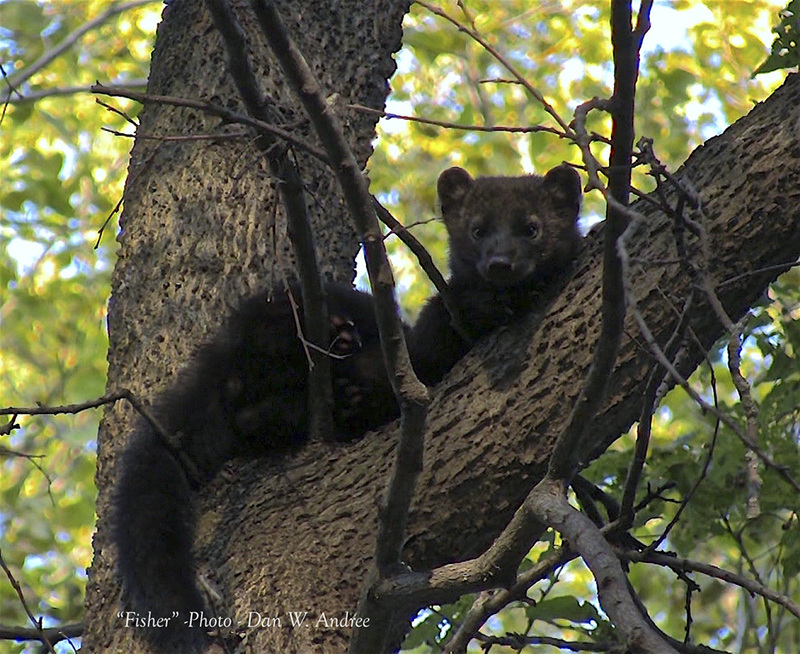 Fisher (Martes pennanti) in our yard near Cedar Pond. 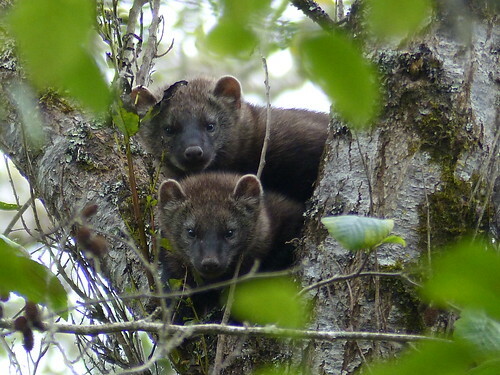 This pair (mother and kit; id'd by an expert on Fishers) was found by Elias Elias along the Arcata Ridge Trail in Arcata, Humboldt County, CA. Northwestern CA generally supports a decent population of Fishers but most of them are found inland, not along the coastal slope like these two were. 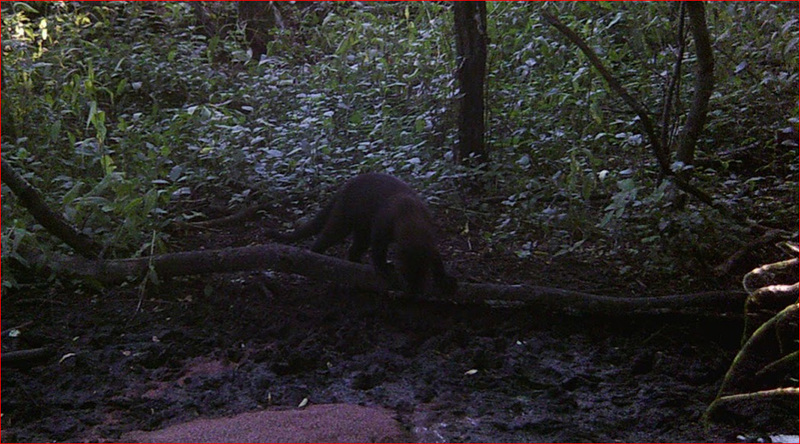 Game cam footage of a fisher (Martes pennanti) on Brush Mountain in Central Pennsylvania, an area where fishers had been extirpated for over a hundred years. Location: I filmed and photographed this fisher a few years or so back in the woods along the Wild Rice River in Norman Co. Mn. They do exist there today as I have seen tracks in the snow and occasional glimpse near a water hole in the woods in summer since.